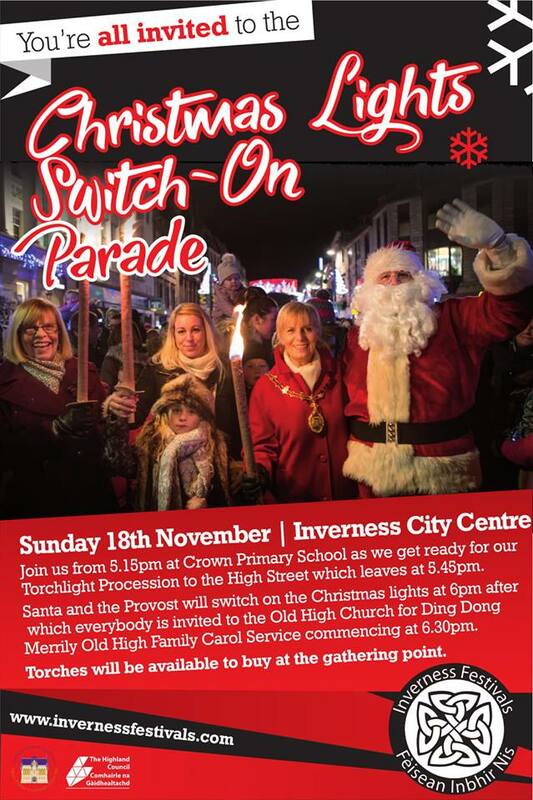 A record estimated crowd of 7000 attended our 2018 Christmas Lights Switch On Torchlight Procession to Inverness Town House; and everybody in attendance did a splendid job in helping Santa, Provost Carmichael and Host Nicola McAlley get our city's Countdown to Christmas underway with a series of thunderous countdowns. Also taking part were the City of Inverness Youth and Senior Pipe Bands and a host of Mascots who once again gave the little ones an unforgettable night. Once the Christmas lights were lit; many of the families joined Santa and the Provost at the Old High Church for the much loved traditional Christmas Carol Service "Ding Dong Merrily Old High" which was enjoyed by all.